One of a crop of Peruvian restaurants in London, Coya sits in a stylishly grand building set right on Piccadilly near Hyde Park Corner. The light-filled room with its high ceilings has a real feel of elegance, even decadence, to it. And it feels instantly comfortable – the sort of place where you’d like to settle in for a long time. It serves traditional Peruvian food with a contemporary twist prepared in three open kitchens – the ceviche bar, open charcoal grill and central kitchen. 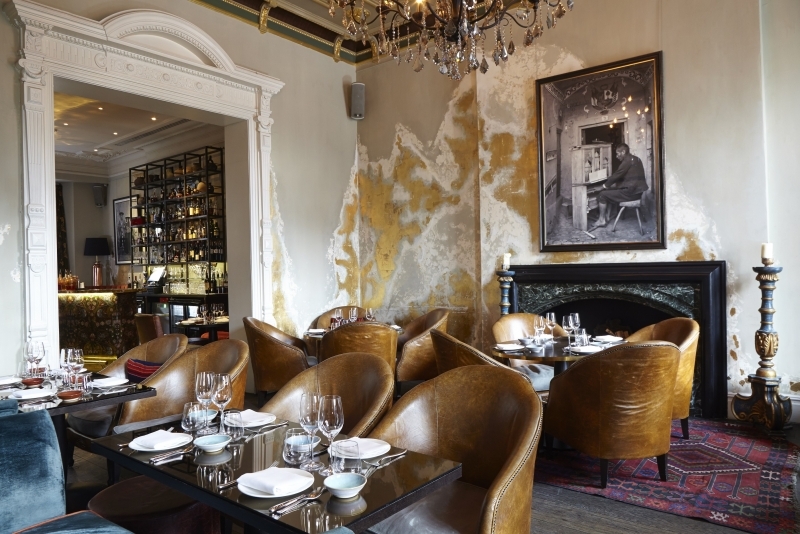 There’s a lot going on at Coya – even an initial glance at the menu tells you this. 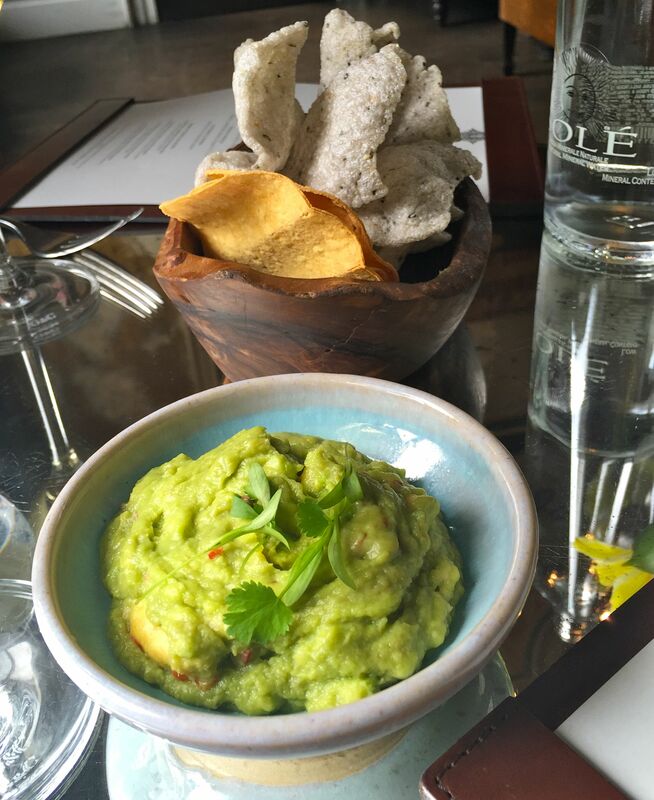 To start off we tucked into a bowl of creamy, savoury and luscious guacamole served with tortillas and large, yummy prawn crackers. I love guacamole and this was perfectly made. Well, avos are grown in large quantities in Peru so they should know what they’re doing. The menu is huge and the variety so wide it’s really hard to choose. I think it’s the sort of place you need to return to regularly to get a reasonable sampling. 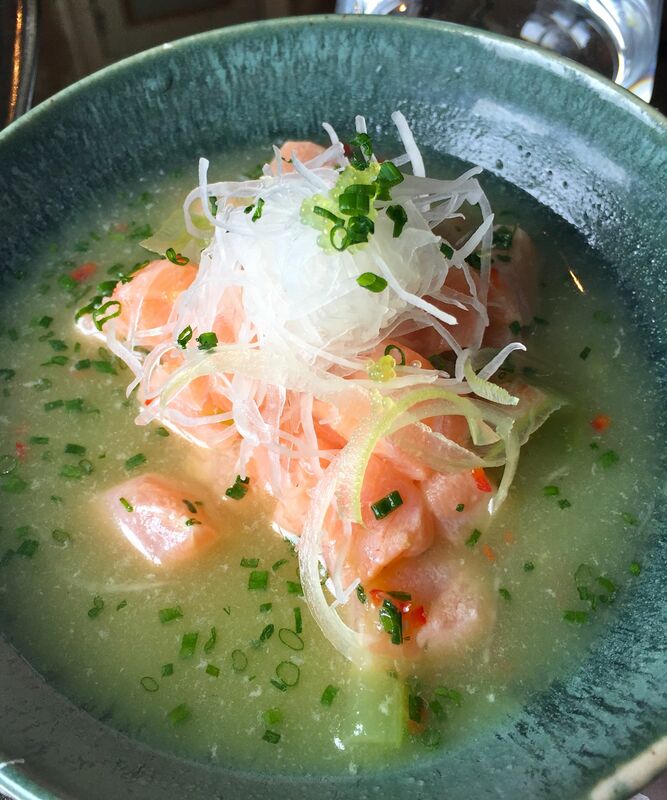 And each plate looks so beautiful, too, eating at Coya is a joy for all the senses. Portions come tapas size so perfect for sharing. 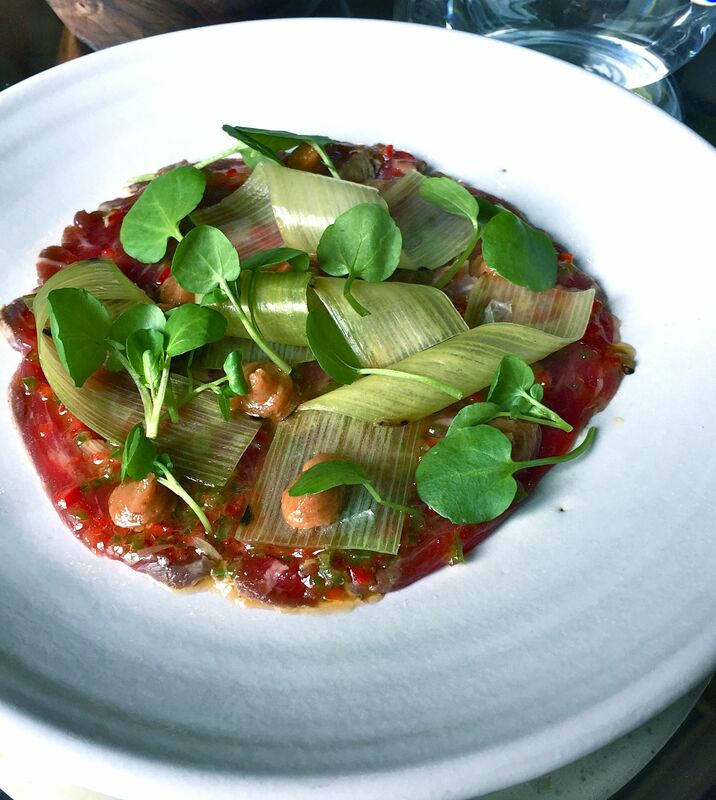 This is their take on beef tataki. 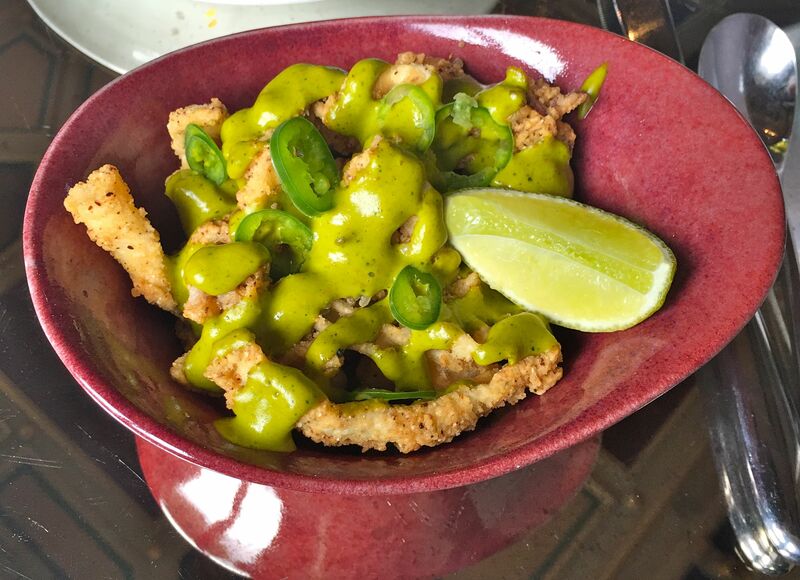 This is Calameres Fritos Con Ocopa – baby squid with Peruvian marigold quinoa. How exotic does that sound? The best squid dish I’ve had for a very long time, with amazing flavours and textures. Ceviches are the most well-known of Peruvian cuisine, so I can never go into a Peruvian restaurant without trying one. The freshest of salmon and a lovely zesty dressing. Here are some pictures of the wonderful interior – I truly felt like I had been transported to another country. Somewhere exotic! This is the beautiful bar. Coya sells over 40 different tequilas – now there’s a dangerous proposition. 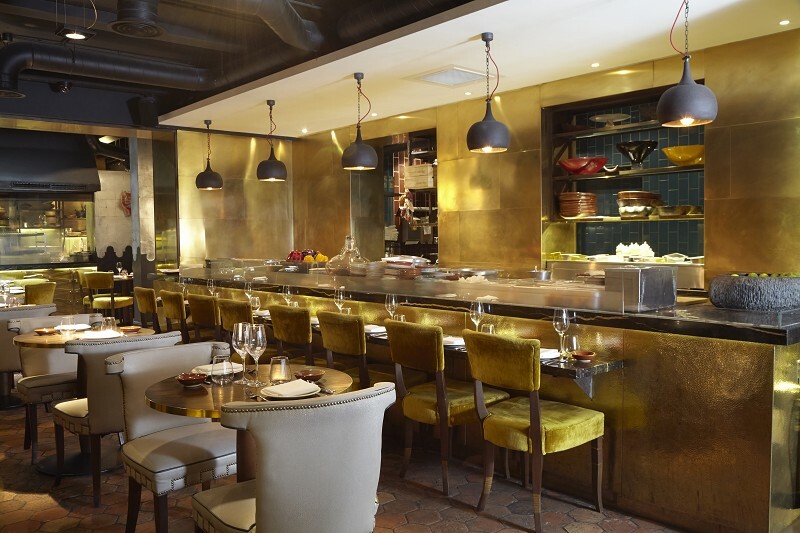 Coya is at 118 Piccadilly, Mayfair.